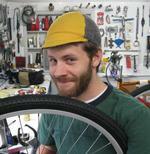 Ryan Brinkerhoff is a part-time mechanic in the Century Cycles store in Peninsula. Not only is he an accomplished mountain biker, but he also devotes a significant amount of time to helping the Cleveland Area Mountain Bike Association maintain many of Northeast Ohio's off-road trails. 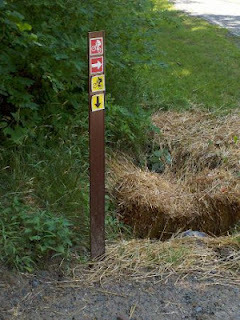 In addition to work at West Branch State Park and Quail Hollow State Park, for the past year, Ryan has been helping to create the first new singletrack in the Cleveland Metroparks since the trail at the Ohio & Erie Canal Reservation opened four years ago. The new Royalview Mountain Bike Trail in the Mill Stream Run Reservation (near Strongsville, just off State Route 82) opened to the public on June 15, 2012. 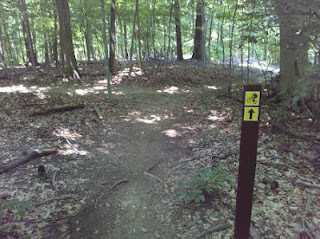 The 10-mile trail is made up of two loops. The Red Loop is about 5-1/2 miles long, and the Yellow Loop is about 3-1/2 miles long. The loops are one-way for cyclists, but be on the lookout for hikers, who may use the trails in either direction. 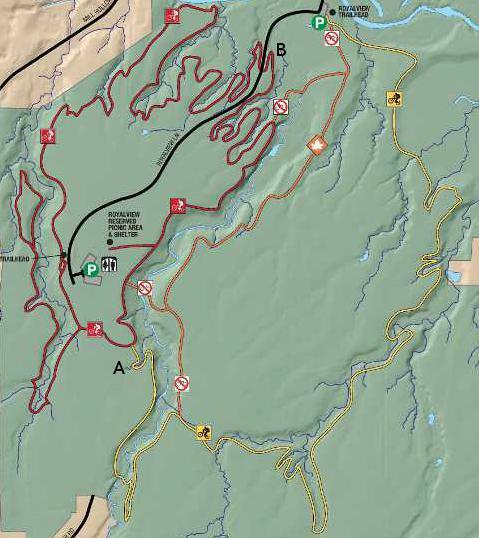 Ride the Red Loop counter-clockwise, and the Yellow Loop clockwise Follow the arrows that are clearly visible at the trailheads and along the way. The terrain is very beginner-friendly. Most of the climbs are very gradual. There are only a couple of minor patches with rocks and roots. There are no boulders, steep drop offs, or other "extreme" features. Intermediate to advanced riders can step up the challenge by seeing how fast they can complete each loop! See this page for a full map (downloadable version available) as well as directions and parking information. CAMBA has a weekly beginner's group ride at the trail; meet at the parking lot at the end of Royalview lane at 6:30pm every Tuesday (may vary by season; check their web site to confirm). 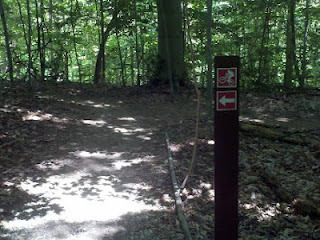 Ryan's Insider Tips: If you try to follow the map and the directional arrows along the trail loops, it might seem confusing. The Red Loop and the Yellow Loop actually overlap. The overlapping section is between points A and B on the map image below. 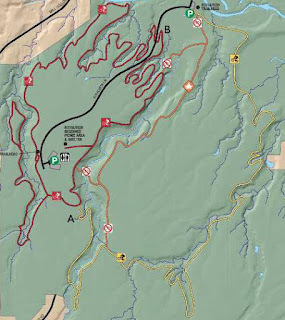 The map indicates that section is just the Red Loop, but on the actual trail, the directional arrows tell you that you're on both the Red and Yellow Loops. while riding clockwise on the Yellow Loop. approach it while going counter-clockwise on the Red Loop. The Red Loop's hills are more gradual, while the Yellow Loop has a couple of short, but steep, climbs. There are numerous wooden bridges that were built where the trail crosses streams, ravines, and ecologically sensitive areas. In some cases, the approach from the trail to a bridge is rather sharp, so slow down to avoid over-shooting and riding off the side of the bridge! Oops! Sorry! It is fixed now.